There's more to belly dancing than moves. 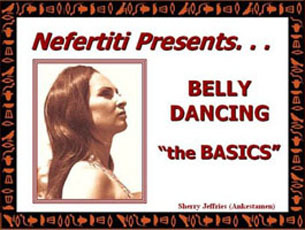 Knowing how to do a hip drop or belly roll doesn't mean you know how to belly dance. You also need to learn musical interpretation, emotional expression, Middle Eastern nuance, stage presentation, and more. But these instructions will guide you in one piece of it - technique for doing selected moves. Belly Rolls. Exercises you can do to gain control over your abs. Backbends. How to build the strength and flexibility required for both standing backbends and kneeling ones. Forward and Back Shimmy. 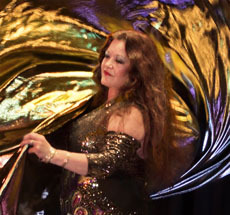 Explore this shimmy done by Egyptian dancers such as Nagwa Fouad. Walking Shimmy. How to shimmy and walk at the same time. Squeezing Glutes. How and when to use glute technique. Expressive Arms. Bring a fluid, emotional quality to your arm movements. Okay to Show My Palms to the Audience? Is it insulting to show your palm to ethnic audiences? Read this to find out! Turn, Turn, Turn. Compares spins from ballet and kathak dance with Middle Eastern. Exploring Figure Eights. Variations on the basic Figure 8. The Camel Walk - Way to Move! Analysis of the technique for doing this move. Whirl Like a Dervish! How Sufis do their whirling. The Mysterious Zar - What Is It? What Can It Do For You? How Arabella uses the African movement meditation for her own renewal or stress relief. The Importance of the Pelvic Floor. The role of the pelvic floor muscles in doing floor work. 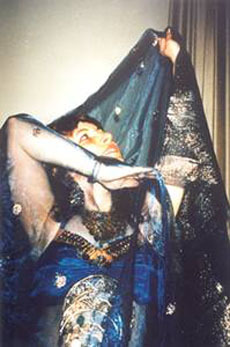 Belly Dance Spins Without Vomiting. Several tips for taming nausea when spinning. Placed online June 4, 2016. 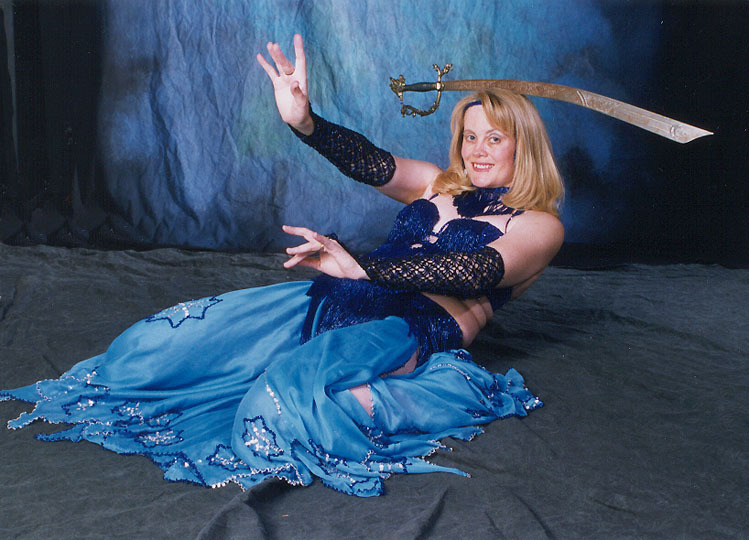 Belly Dance Tips for Arms. Tips for graceful arm technique, costuming, and posing. Updated and expanded June 5, 2016. Dance Technique for Lovely Hands. How to hold your hands attractively when you dance. Expanded June 5, 2016. 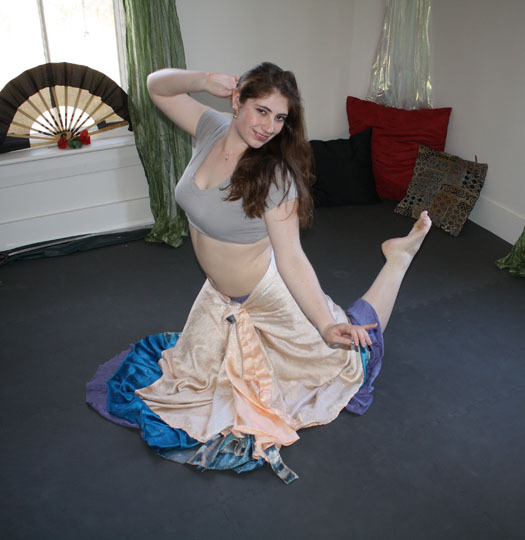 Becoming the Best Belly Dance Performer You Can Be: Part 2, Technical Skill. Checklist for assessing your technical dance skills. Placed online June 27, 2017. The articles in this section cover a variety of skills that belly dance performers need to know, including musical interpretation, emotional expression, Middle Eastern nuance, stage presentation, and more. Is It Okay to Show the Palms of My Hands to the Audience While Dancing? Is it insulting to show your palm to ethnic audiences? Read this to find out! 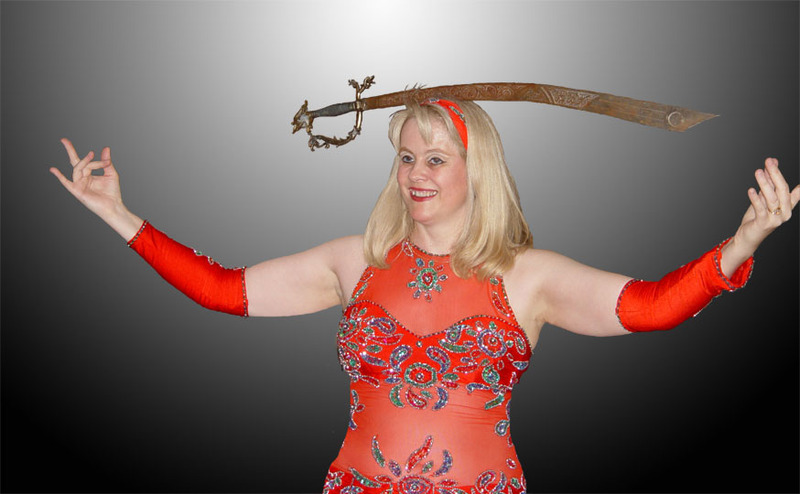 Tips & Tricks for Dancing With Swords. Lots of ideas for learning to dance with a sword. Bigger Isn't Always Better. The pitfalls of trying to do each move as large as possible. How to Become a Better Dancer Without Really Trying. A few easy tips for upping your game. Hints for Remembering Choreography. Arabella's suggestions for overcoming an issue many dancers struggle with. Go to the Light! 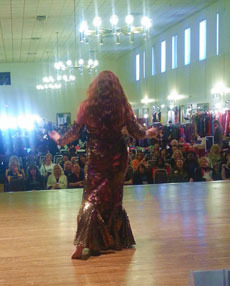 Saqra shares a dance tip on being aware of lighting when you perform belly dance. Placed online June 4, 2016. Using Your Hair to Extend Movements. How to use your hair, real or imagined, to bring extra life into your dance movements. Placed online June 23, 2016. The 70% Rule. How to use restraint to keep your audience captivated. Connector (Transition) Steps for Belly Dance Improvisation. A technique that will help you learn to improvise. Placed online August 27, 2017. Learning Choreography. Easy-to-use tips for learning a choreography. Placed online August 14, 2017. PHOTO CREDIT: Photo by Denise Mannion, Mount Shasta, California. Learning to Belly Dance: What If There's No Local Teacher? PHOTO CREDIT: Photo by Lina Jang, New York City, NY. Shira's Video Center. Reviews of more than 60 instructional videos.